Venture North Capital Inc. (“Venture North”) is a full service capital markets consulting firm, headquartered in Toronto’s financial district. Our core business competency is executing strategic investor relations outreach campaigns on behalf of a select few TSX, Venture exchange and CNSX listed growth companies. We strive to provide maximum exposure for companies that we represent. Venture North is committed to building long-term relationships between our clients and our broad network of investment professionals. Our main focus is the Canadian financial and investment communities, however our experience and background also extends our network to the US, European and Australian markets. → Develop focused IR awareness campaigns. → Execute proactive phone based outreach programs. → Identify prospective investors for face-to-face meetings & road shows. → IPO strategy and listing guidance. → Post-IPO support & assistance. → Merger & Acquisitions due diligence. → Asset/Property divestment and/or spin-out . → Equity & debt raise structuring, valuation modeling. 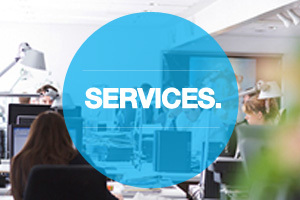 → Marketing collateral design & preparation. → Website audit, review, design & monitoring. → Conference call/webcast messaging, script draft/development. → Financial & Business Media Relations – planning around major news flow/events. → Public & Private Company fundraising strategy & guidance. → Identification & vetting of appropriate institutional advisor partners. Copyright © 2018 Venture North Capital Inc., Privacy Statement Terms and Conditions.